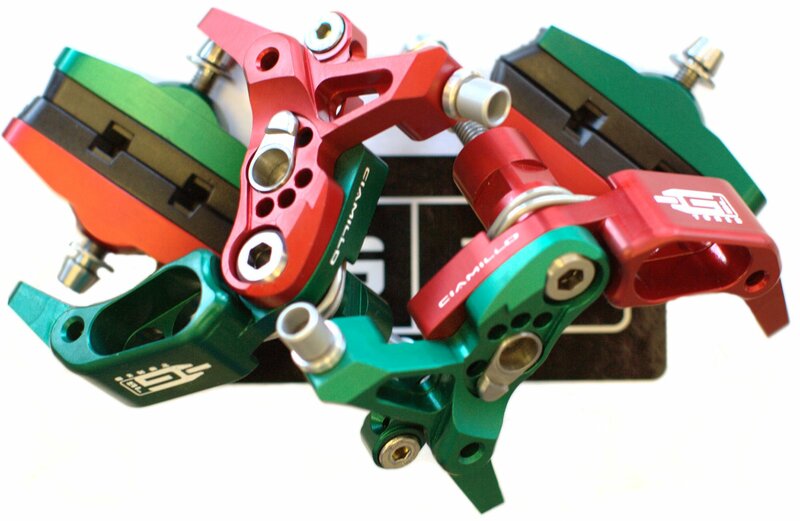 Light weight shiny Italian bike parts, whats not to love? This stem was used for more than its good looks though. The entire Zero100 product is a weight weenies dream, but whats better is it has no weight limit within reason. Some see this and wonder what handle bars fit 31.7mm. 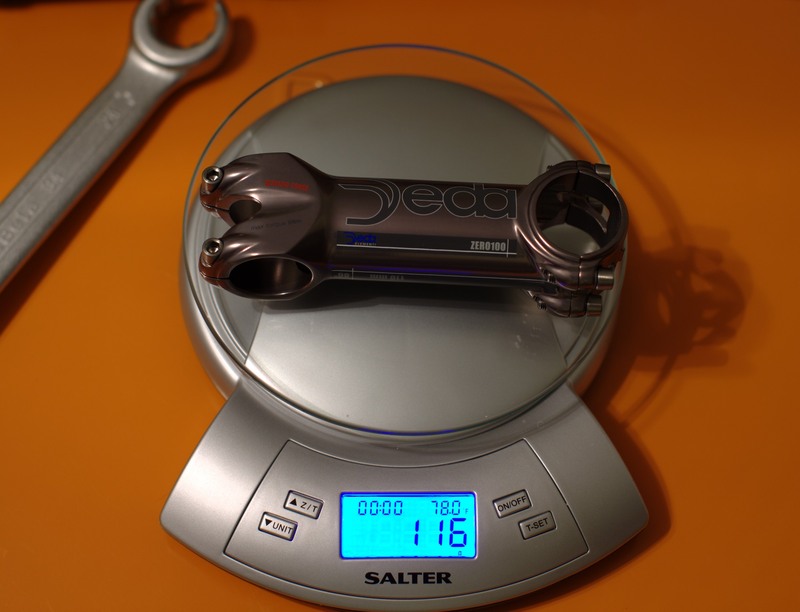 The answer is any of the Deda bars in addition to any of the more traditional 31.8mm bars. 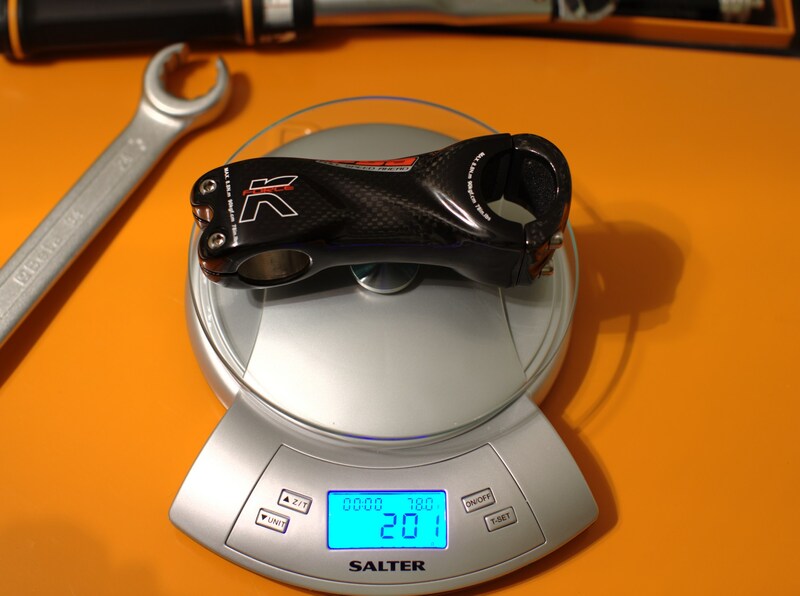 116 grams for a 110mm stem is very respectiable. Whats more worth noting is the finish quality on all Deda parts. 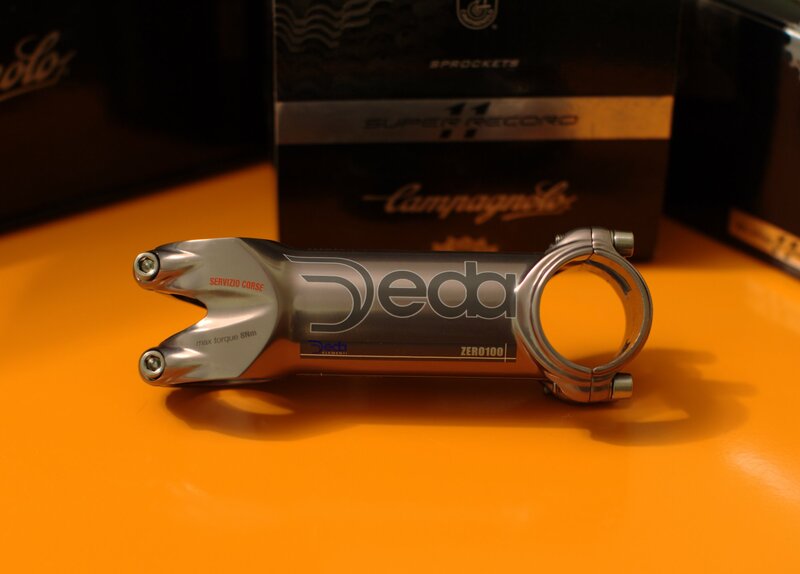 Italian parts can be hit and miss at times, but the Deda line comes up aces. All the titanium is nicely brushed, the packing delivers the products scratch free, and all the logos and graphics are sharp and clean. With that out of the way we can now get back to what really matters. Finding the strongest lightest parts for our build. The cycling world is full of a lot of bad and social dogma. Riders often feel pressured into purchasing the latest dodad, or thingamajig without knowing why. Take a FSA K-Force stem below for example. It is over 75% heavier, and retails for more money. Now there are are die hard fans that will scream its stiffer. If thats really the appeal buy a entry level WTB stem for probably one quarter the price and it will still be ligher. Its not just stems either. 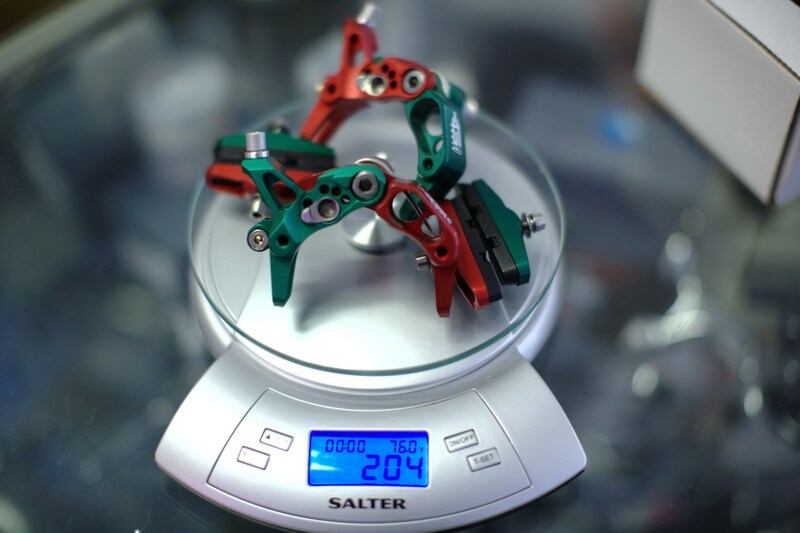 There are a large number of parts that can be made lighter and stronger with alloys than can be made with composites. Handlebars come to mind as well. At the shop we see a carbon bar snap on someone every so often. This simply isn't the case with the often lighter weight alloy bars. Graphite/Carbon fiber is a great mateial that does have several areas where it shines. Aerodynamics of modern bikes has been greatly advanced with composites. The day will come when composites are both stronger and lighter, but that day will not come until the manufactures find a cost effective way to bring higher end technology from aerospace and racing to the cycling world.